There’s not much we can do to prevent the wear and tear of driveways. They are constantly exposed to the weather and also have to take the weight of vehicles and foot traffic. This means that It is inevitable that we will need to have a new driveway laid eventually. This, in turn, means that we will have some tricky decisions to make. With the wide range of options now available to us, choosing a new driveway might not be as easy as you first imagine. There are numerous variables to be taken into consideration, each with their own positives and negatives. One of the biggest choices you are likely to face when it comes to new driveways is whether to choose tarmac or Resin Drive. Below we take a look at some of the pros and cons of each. Tarmac has been around for a long time and is a popular choice for driveways. Plain black is the most common colour, although some other colours are available, and it does make for a reasonably smart driveway. One positive for a lot of people is that the aggregate is not loose, helping to keep the driveway as neat as possible. Tarmac is also fairly robust and will last fairly long, although, as with most things it is important that the material is laid properly. Overall, tarmac makes a pretty good option. However, it can fall victim to oil leaks and stains, and can also become brittle or prone to cracking. Resin is a relative newcomer and not as well known, although its popularity is increasing. A Resin Driveway Surfacing is made by mixing an aggregate with a resin which binds the aggregate together. The resin forms a permeable seal, helping eliminate pooling and dangerous ice patches in the winter. It also helps to keep out weeds and protects against spills. Perhaps one of the most appealing aspects of resin driveways, though, is the aesthetic appeal. 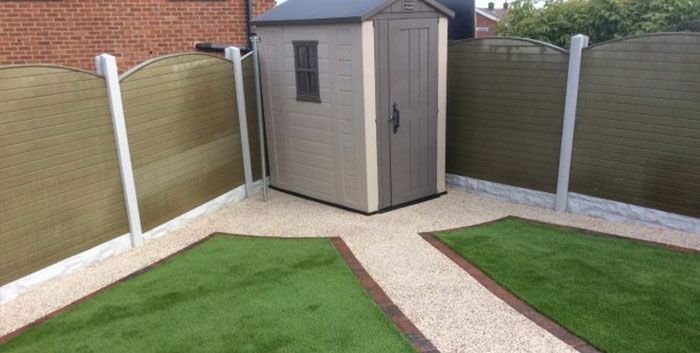 You can choose from a selection of aggregates of different sizes and different colours, helping you to achieve the effect you are looking for. 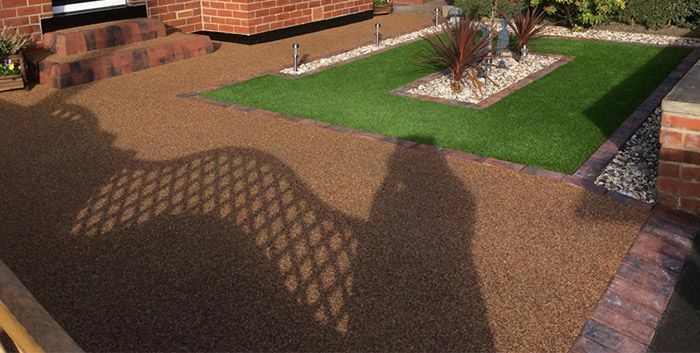 The way that the resin bonds the aggregate together also means that it will remain looking neat and tidy long after it has been installed. 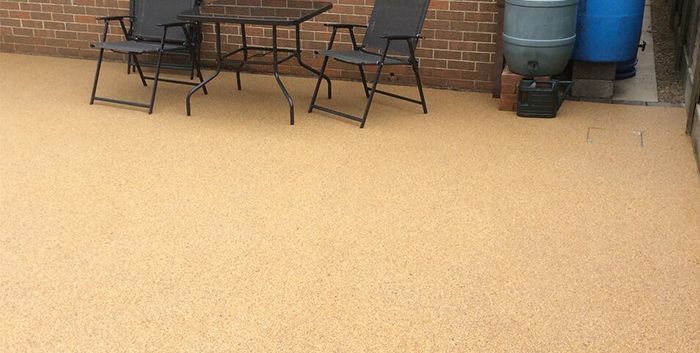 While your decision will largely be down to personal preference, a resin bound drive does have some advantages over tarmac. Ask an expert for some inspiration and you may be surprised at what can be done!